Call (813) 434-0570 for your FREE consultation! FCAM, LLC. revolutionizes the world of Condominium and Homeowners' Associations by combining community association management services and legal services into one low flat-rate. Founded by attorney and licensed community association manager, Brian P. Buchert, FCAM, LLC. offers more services and greater protection at a lower cost than its competitors. As annual dues continue to rise, FCAM, LLC. offers an easy and practical way for associations to save money while also securing the well-being of the community. 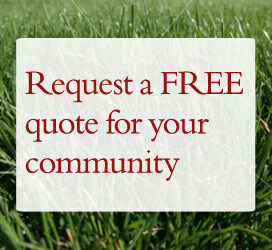 Please click here to request a free quote for your community or contact the President of FCAM, LLC., Brian P. Buchert, to set up a free consultation at (813) 434-0570. You may also email any questions concerning FCAM, LLC. 's services directly to info@FLcommunity.com. As the end of the year approaches, Board members of community associations often feel pressured to complete a variety of difficult and time-consuming tasks before the calendar hits January 1st. With the holidays approaching, Board members know that many people will be traveling and will therefore be unavailable. This shortens the deadline to complete those end-of-the-year tasks and magnifies Board member stress. A good community association management company helps relieve this stress by making sure Board members are organized and do not get behind. If you live in a condominium community and your annual elections take place in January, your Board should be mailing out a Notice of Election to all community association members. This notice is required by the Florida Statutes to be mailed out to members 60 days prior to the election of Board members. Board members for homeowners' associations should check their community's Bylaws for election procedures. In addition to sending out Notice, there are many other steps that need to be completed at this time by condominium and homeowners' association Board members, including checking voting certificates, updating the list of candidates and updating ballots and proxies. The Notice of Election, ballots and proxies should all be reviewed by an experienced attorney to insure they comply with Chapters 718 and 720 of the Florida Statutes. The review of these documents by an experienced licensed attorney is included in FCAM's low flat-rate fee and is another benefit that FCAM offers its clients which typical community association management firms cannot. Typically, October or November is also the time when most community association Boards review and approve a budget for the upcoming year. In the past two years, the Florida Legislature has made a number of changes to the Florida Statutes regulating condominium and homeowners' association budgets. Board members are expected to be aware of these changes and comply with them. It is your community association management company's job to be knowledgeable of all changes to the law, explain the changes to the Board of Directors and to help the Board comply with the Florida Statutes. If your community's current community association management company is not doing this, that is a good sign that you are not with the right management company. By the end of November, the Board should mail the approved budget to association members along with fee notice. The end of the year is also a good time to review all vendor contracts. The Board of Directors should evaluate the performance of every person the association is currently paying. Board members owe a duty to their fellow association members to make sure their members' hard earned money is not being wasted on inadequate service. Board members should not only look at the performance of landscapers and maintenance companies, but also their attorney, accountant and community association manager. Performance by persons receiving money from the association should be evaluated throughout the year in order to ensure the association is getting what they are paying for. Lastly, some communities host an annual holiday party. While these parties can be a lot of fun, they also take a great amount of preparation and planning. Your community association management company should be there to help you with this process. Your attorney should be available to answer any liability issues. FCAM provides both of these services and they are included in FCAM's low, flat-rate fee. FCAM, LLC. is a community association management firm based out of Tampa, Florida. FCAM provides community association management and legal services to condominium and homeowners' associations in Hillsborough, Pasco, Pinellas and Polk Counties. FCAM provides both services at a low flat-rate and can often cut an association's expenses for management and legal fees by up to twenty-five percent. Please email any questions to info@flcommunity.com or contact FCAM's President, licensed attorney and licensed community association manager, Brian P. Buchert, directly at (813) 739-8915. Rental restrictions are always a passionate topic for communities because it forces communities and its members to balance individual property rights against the greater good of the association. As most board members probably know, nothing fuels emotion in a homeowner or condominium unit owner like restricting property rights. Despite the potential backlash from owners regarding rental restrictions, they do provide many benefits. Rental restrictions deter purchases by investment owners and tend to attract purchasers who are looking for the protections of a deed restricted community. They can also be tailored to address the concerns that many associations have with renters, including the treatment and maintenance of the property, noise, trash and even crime. On the other hand, rental restrictions also have negative consequences. First and foremost, they restrict individual property rights. Unless an association feels there is a significant need for restrictions, the benefit of the rental restrictions may not outweigh the headache that the board of directors will surely experience trying to explain the restrictions to angry owners. Also, the board needs to have specific rental procedures outlined before any restrictions are passed. Lastly, there are economic issues to consider. For many people in today's real estate market, renting may be the only way to avoid foreclosure. A wave of foreclosures can cause more damage to a community's property values than an unruly tenant, not to mention the hit the association takes to its annual budget when assessments go uncollected. Associations need to weigh the pros and cons of rental restrictions before making a decision. If a board of directors is considering rental restrictions, I would suggest that their first step should be to engage in a dialogue with its members to determine the level of interest in such restrictions. If rental restrictions are deemed appropriate, the association should hire an attorney experienced in drafting such restrictions and a management company experienced in developing and implementing rental procedures so as to avoid potentially costly legal conflicts in the future. Of course, communities that have hired FCAM get both of these services at one low-flat rate. If you are a board member and have any questions regarding rental restrictions or other issues that effect your community, please contact FCAM today for a free consultation. Many of the tri-county area's homeowners' associations and condominium associations feel their budgets are too small to hire a community association management firm (commonly referred to as a CAM firm). In today's economic climate, the majority of these smaller associations simply cannot afford to hire a big CAM firm due to cost. However, most communities, even the largest associations, don't need all of the bells and whistles that the large CAM firms provide. While FCAM does offer all the same services as nation-wide CAM companies, we also understand the need to provide affordable services to the smaller communities of Hillsborough, Pasco, and Pinellas Counties. That is why we offer to custom-tailor our services to each individual association to meet that association's needs and budget. FCAM applies the same logic to legal fees. Brian Buchert, FCAM's president, licensed Community Association Manager, and licensed Florida attorney, has represented communities with annual legal budgets as low as $3,000.00. After witnessing first-hand the way hourly billing can deplete an association's budget, Buchert decided to revolutionize the way communities receive their management and legal services by combining both and offering them at one low flat-rate. If your community needs management and/or legal help, or is just looking for a way to cut management costs and legal fees, FCAM could be just what you have been looking for. © 2009 logo and flcommunity.com is property of FCAM, LLC.